Events | The Importance of the Black Church Discussion – Bethel A.M.E. 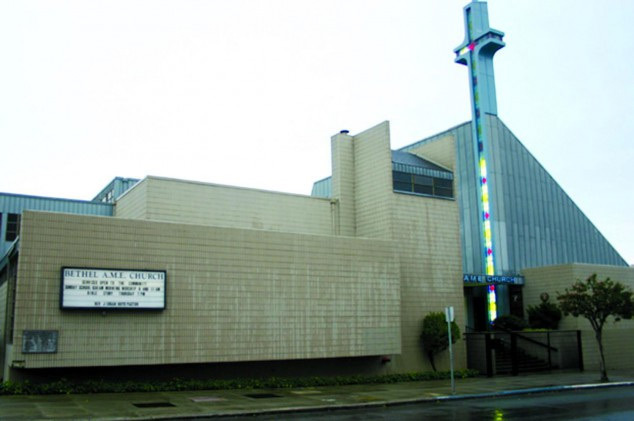 The Importance of the Black Church Discussion – Bethel A.M.E.
John William Templeton is the featured speaker for the Bethel Heritage Foundation, serving the oldest black church in San Francisco at 12:30 p.m. at 916 Laguna St. on Sunday, Aug. 26. It is one of the five local institutions that helped bring about the 13th, 14th and 15th Amendments in the 1850s. We’ll cover the importance of the California African-American Freedom Trail and encourage dining at one of the black-owned restaurants featured during our Black Food Days nationwide dining experience this weekend during the 15th annual National Black Business Month. Plus there’s an ice cream social before hand! Board Member, Stillman College, Tuscaloosa, AL affiliated with Presbyterian Church U.S.A.